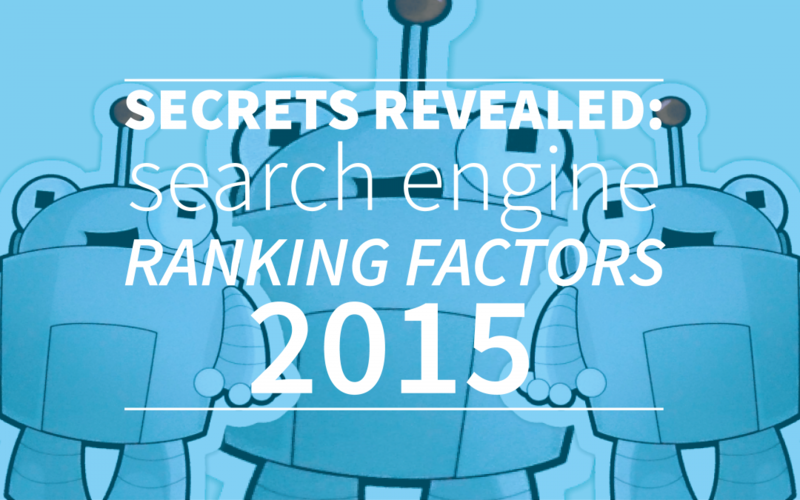 To most of us, the search engine ranking factors are a big secret that is really hard to discover and to understand. The Google algorithm changes all the time and before you can even try to understand how it works, it already works different. Of course, this is also a good thing because it shouldn’t be that easy to manipulate the Google rankings. That should mean that nobody would get the best search results in the end, but just the results of the smartest manipulators. But, as a website owner, blogger or SEO specialist it’s nice if you understand part of why Google ranks your website the way it does. This way you can make sure that your website is picked up the way it deserves and that your (future) customers or audience are able to find you in the search engines. Luckily for us, there are big companies like Moz who work with tons of SEO experts and search marketers that try to understand how these search engine ranking algorithms work. They convert this data into search engine ranking factors that effect whether you rank high or low in the search engine results. Even though there are many different thoughts about how these algorithms work, Moz managed to combine the opinions of 150 highly respected search marketers into one useful report. For this report, the opinions on 90 different search engine ranking factors were asked in a survey. The 90 factors are rated on a scale of one to ten, to decide which factors are and will be important in the next year to rank higher in the search engines. You could say that, if you follow the opinion of these experts, you’ll be able to get some pretty good insights on how the algorithm works and is going to work the next year. So it’s definitely something you take a look at, if you want to be able to adapt these insights in the best way you can! An important note that Moz gives is that these search engine ranking factors aren’t “proof” of how search engines rank websites. It’s an interpretation of how these experts think that you can rank higher, based on their experiences with high ranking websites. Combined with experience and knowledge of your own this can be a way to rank higher, but it’s always an uncertainty that it will actually work. But after all, it’s definitely worth some of your time. Who knows what it will lead to? For the full report you can take a look at this article! If you want to know more about how to respond to the latest Google Ranking Factors, you should get started right away with our free webtexttool trial. Webtexttool makes sure that you’ll be able to stay up-to-date at all times.